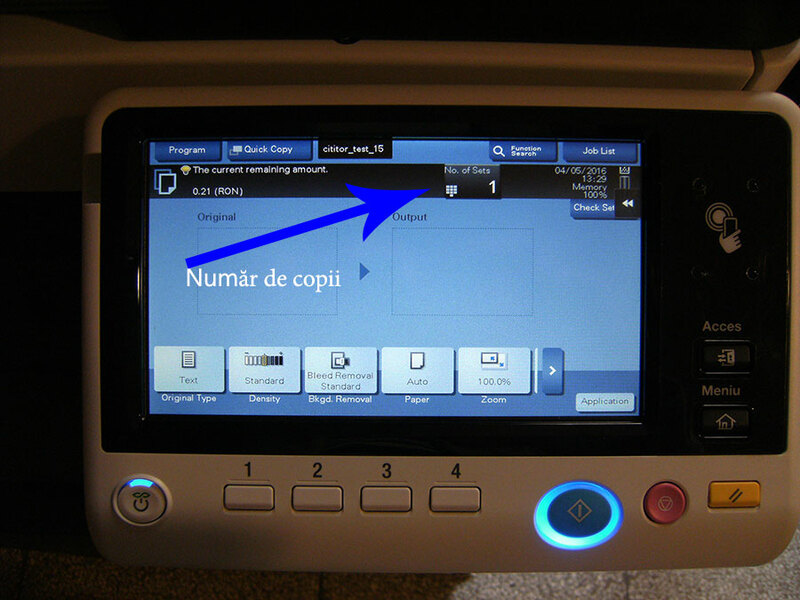 A new facility for "Mihai Eminescu" Central University Library readers! 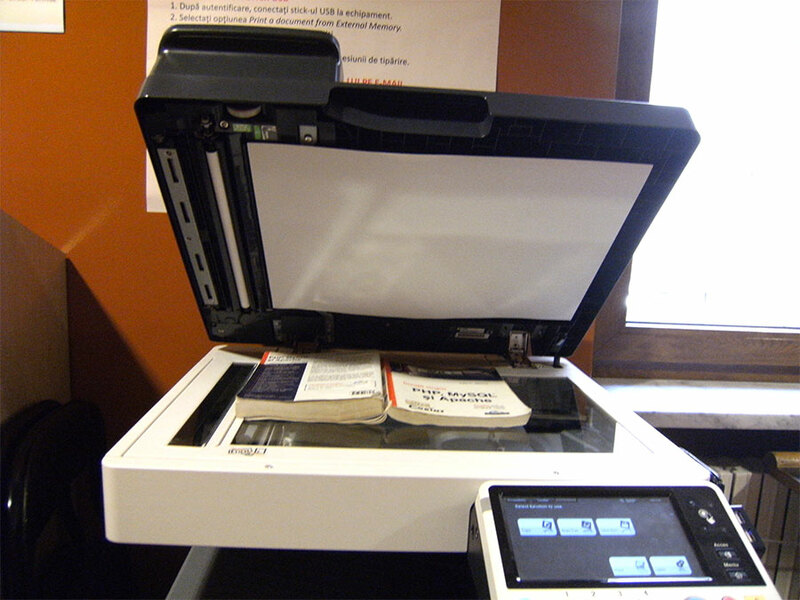 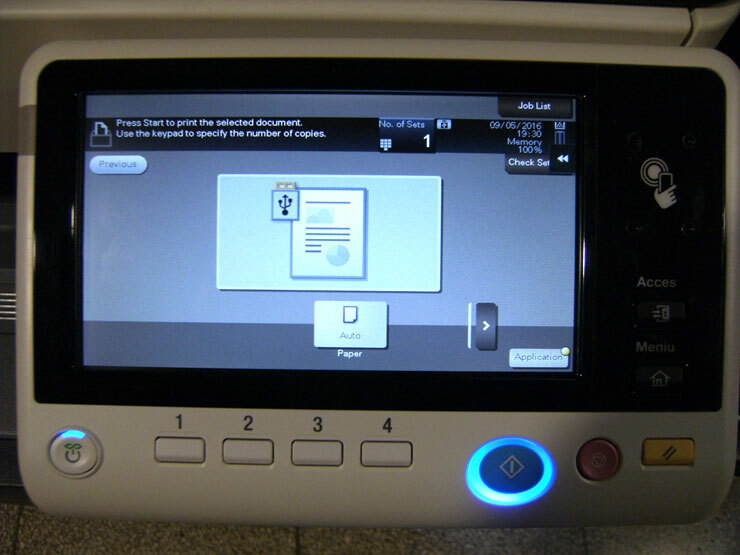 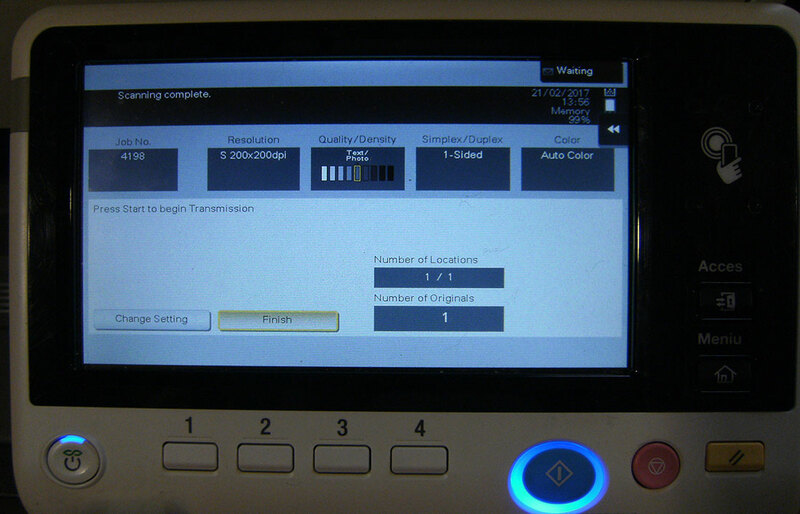 Starting with May 2016, the Library offers all its readers a performant xerox machine, to copy, print and scan documents. 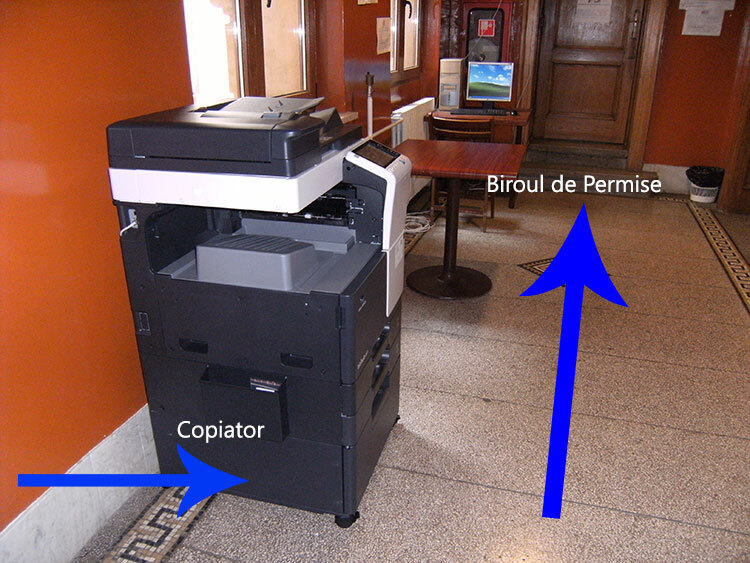 The tresence of an authorised person is not required. 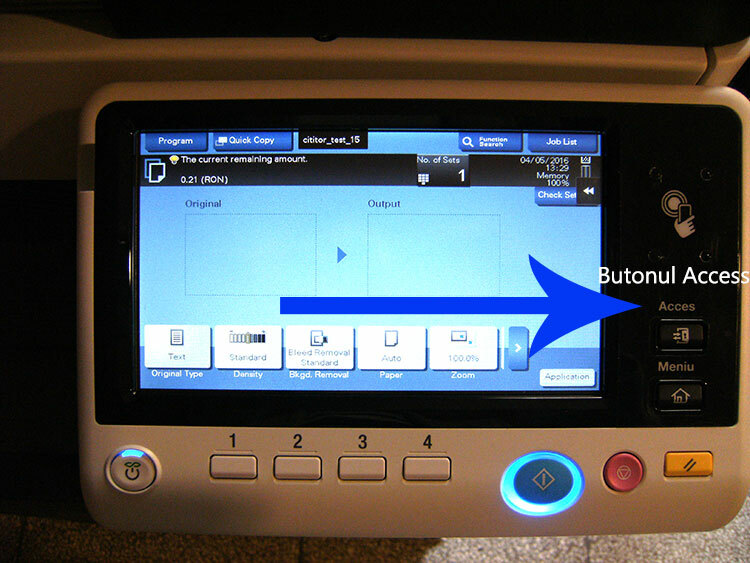 Operations are performed on a basis of a debit card, used to pay the xerox copies, which is provided free of charge by the library. 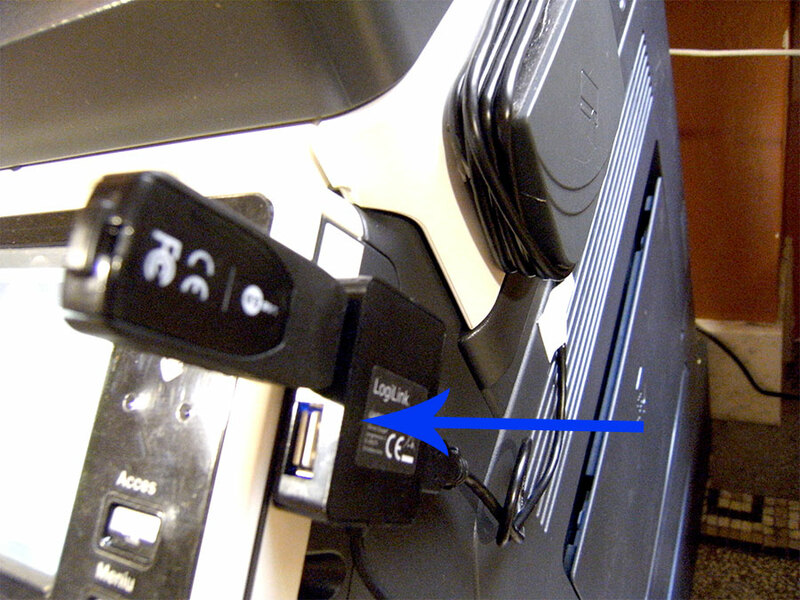 The minimum amount to charge teh card is 15 lei. 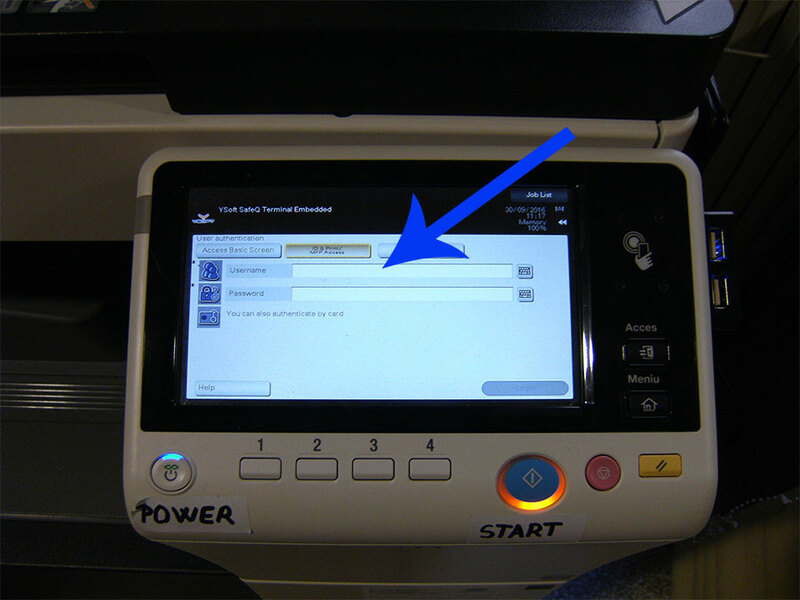 You can do this at the Entrance Card Office in the central building, ground floor, in th eproximity of the xerox machine. 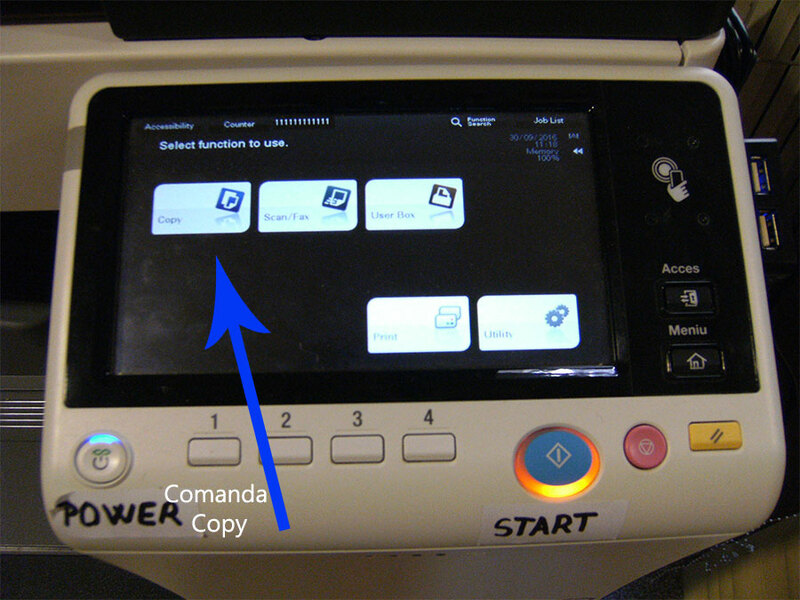 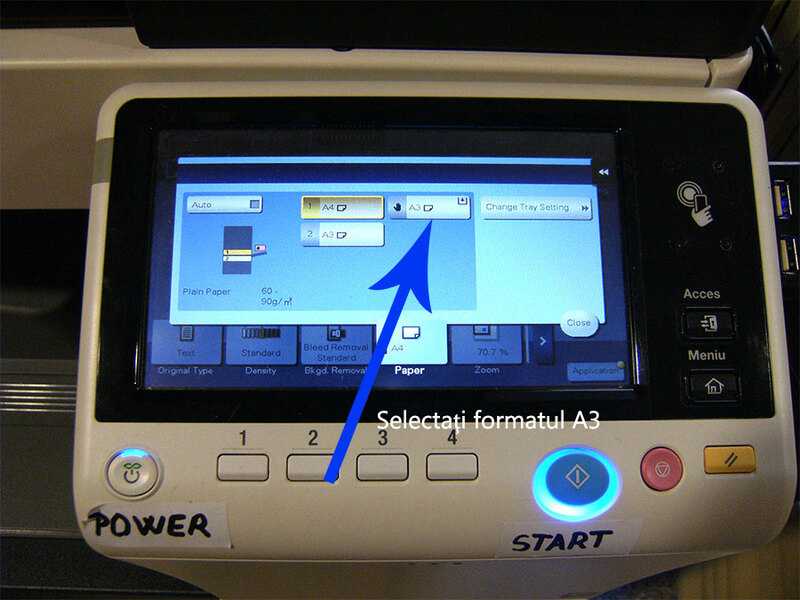 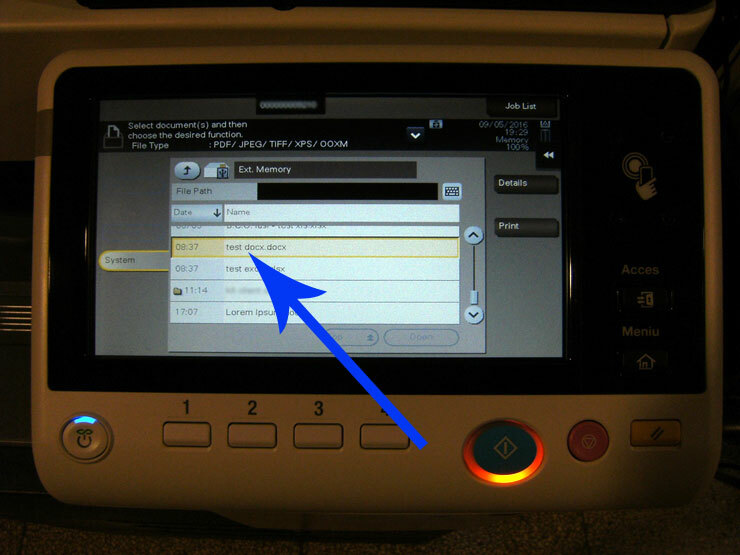 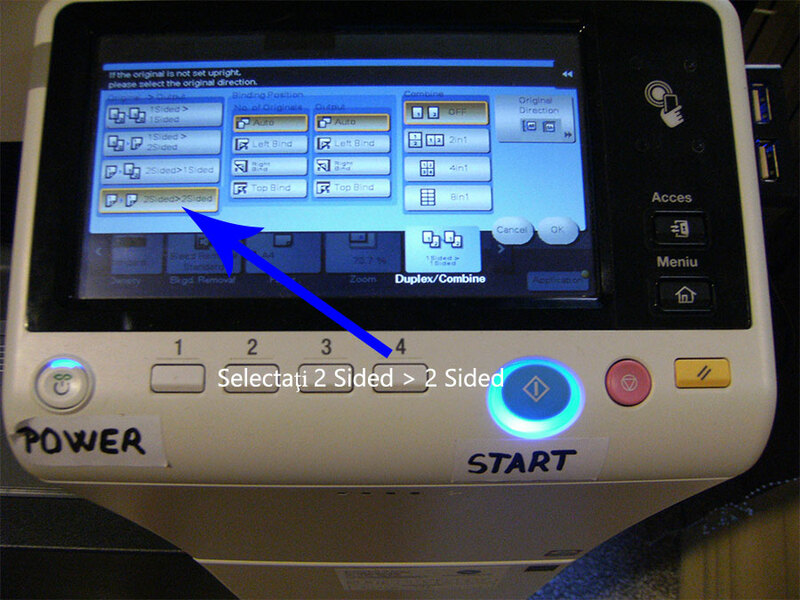 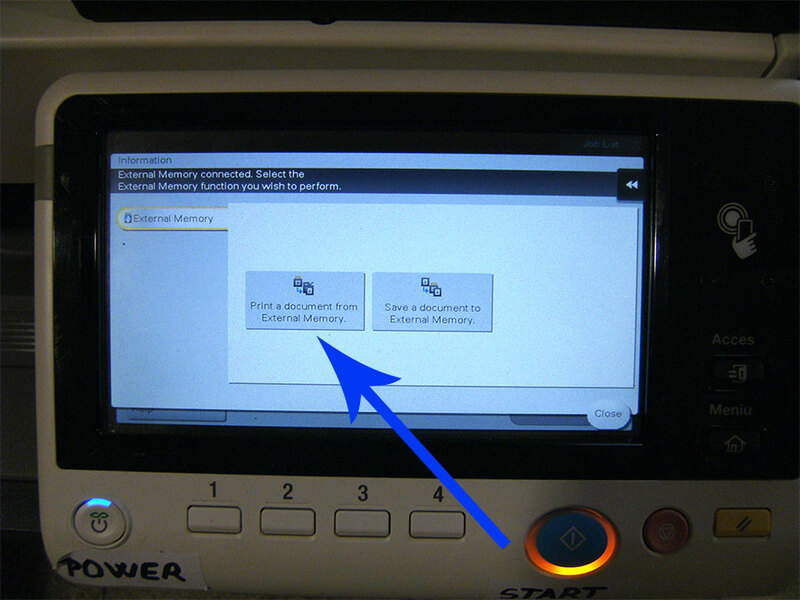 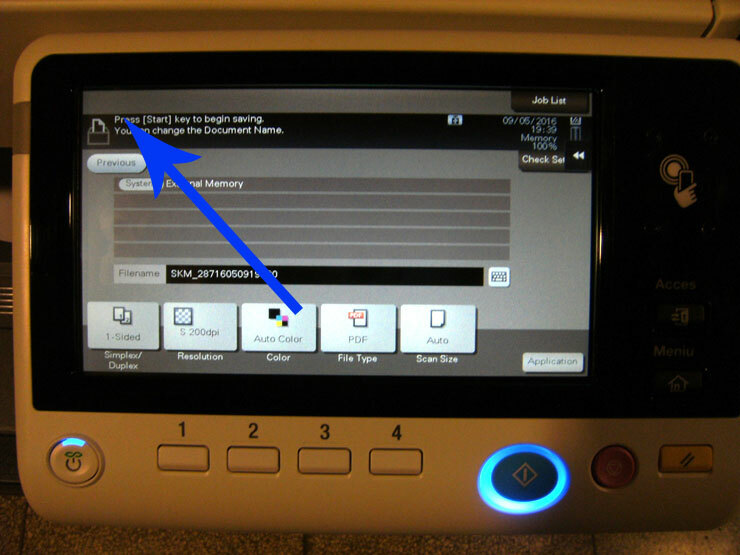 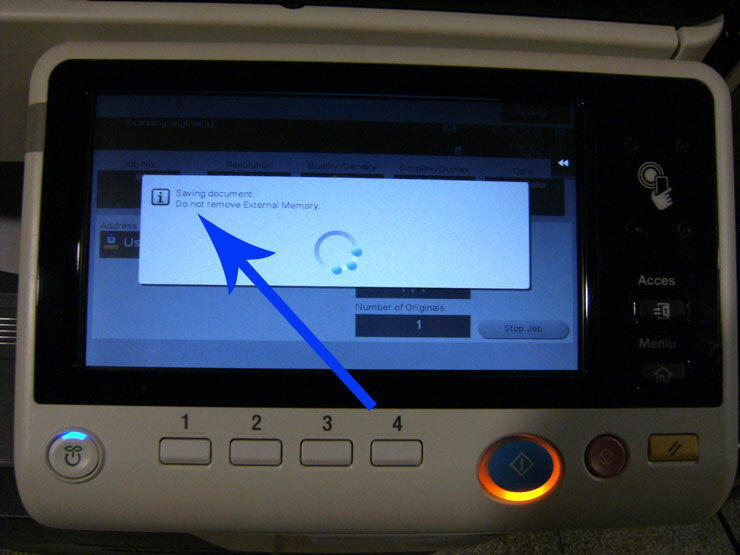 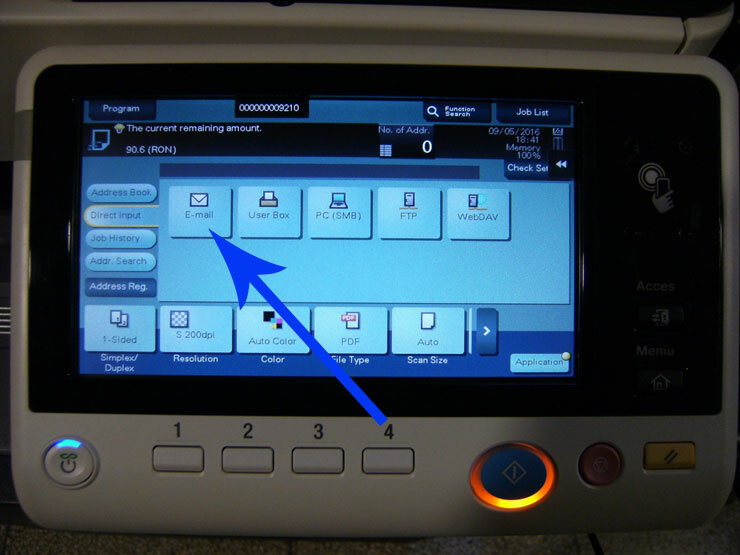 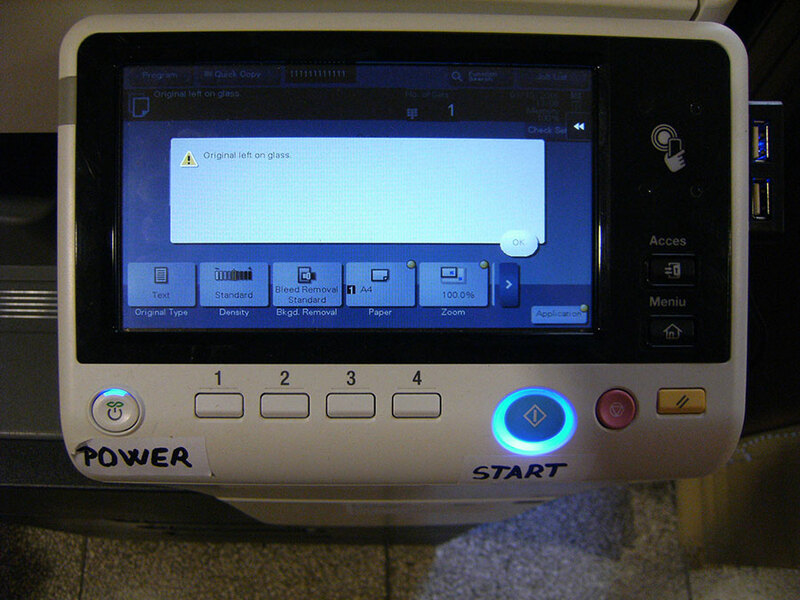 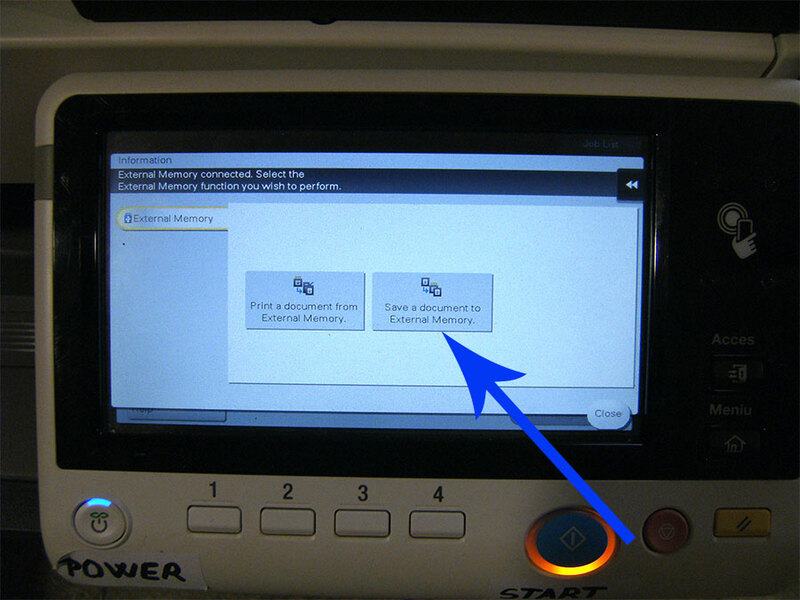 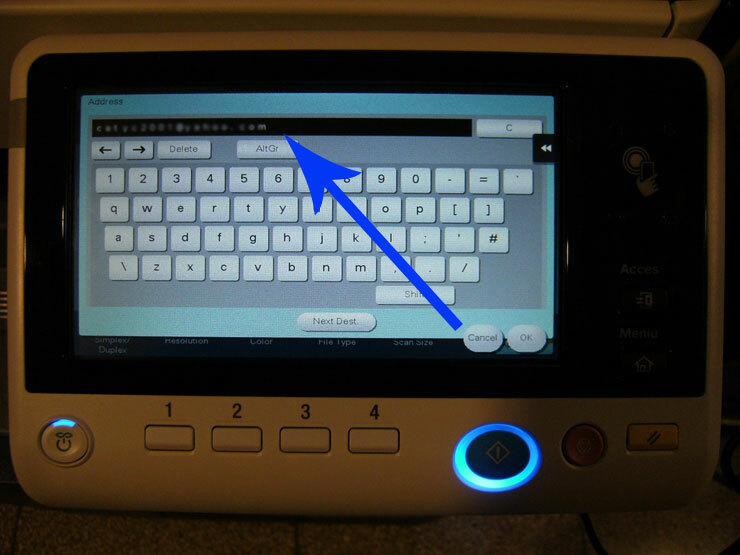 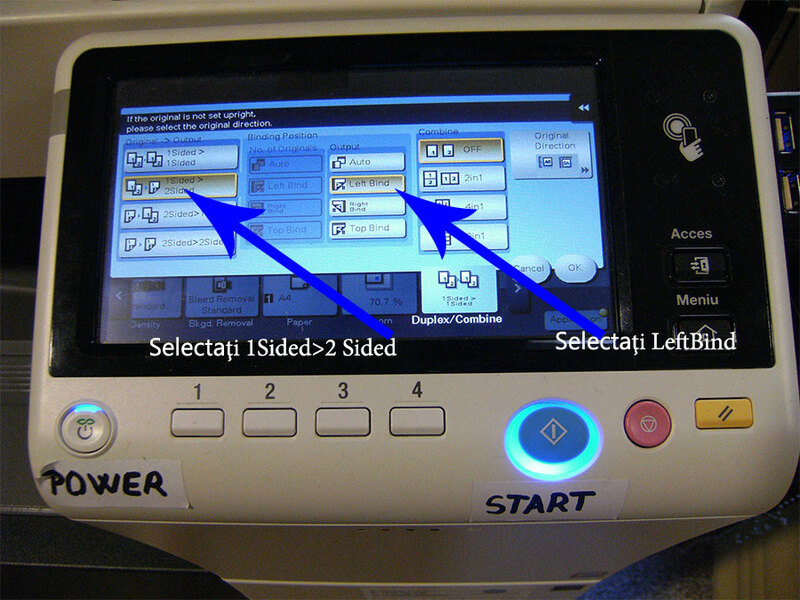 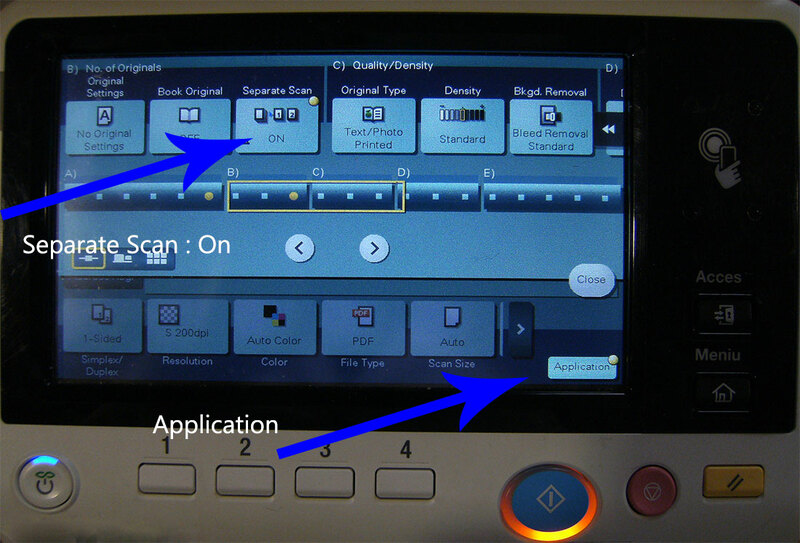 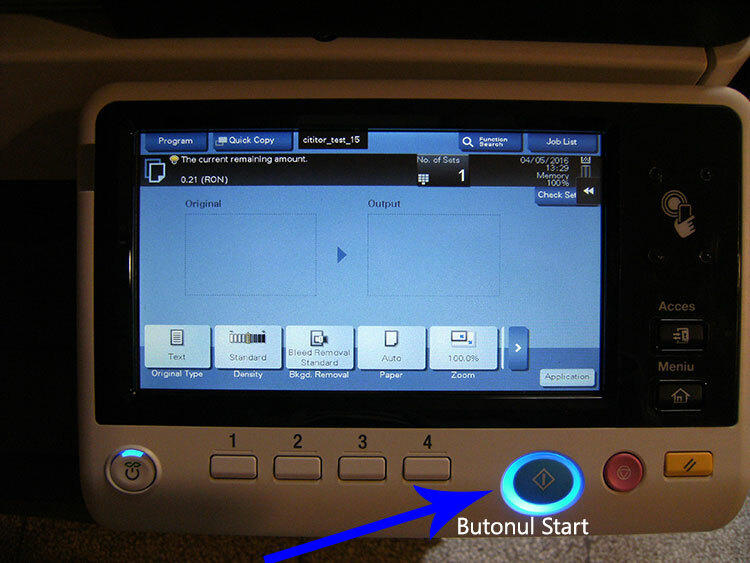 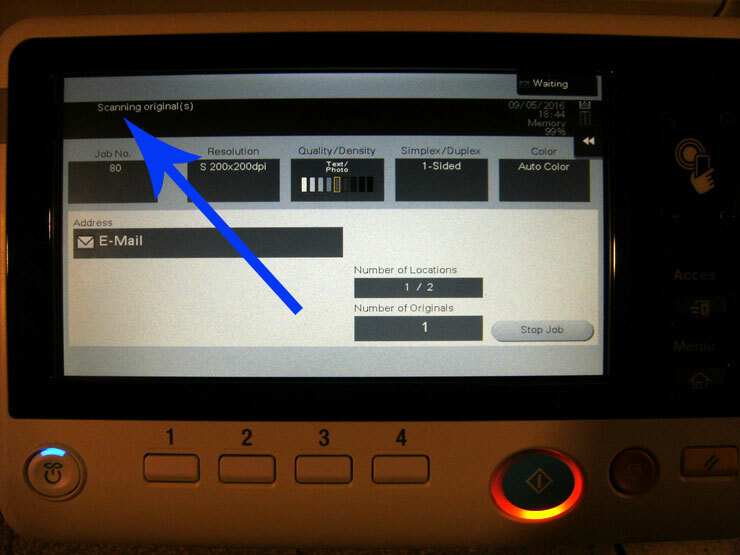 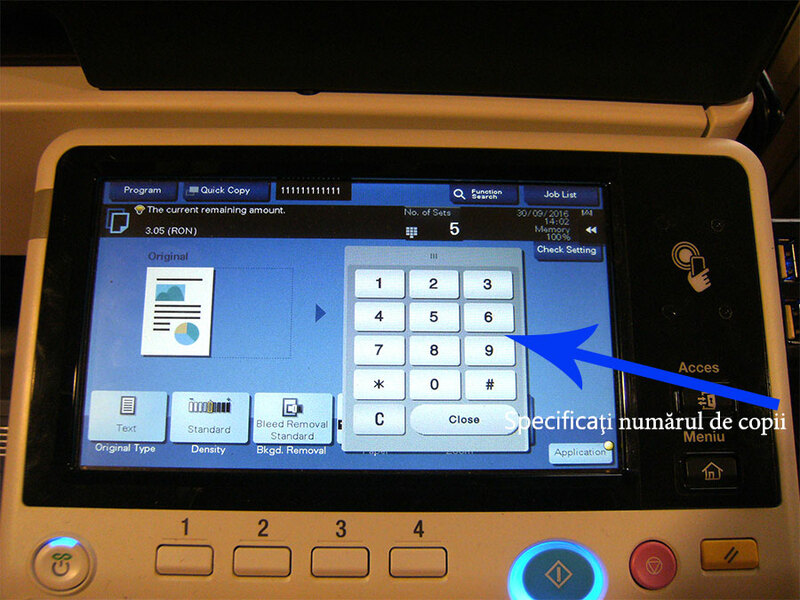 Note: In order to print other documents on the stick, select User Box from the main menu of the machine (key Menu), after wich you select the file you need to print. 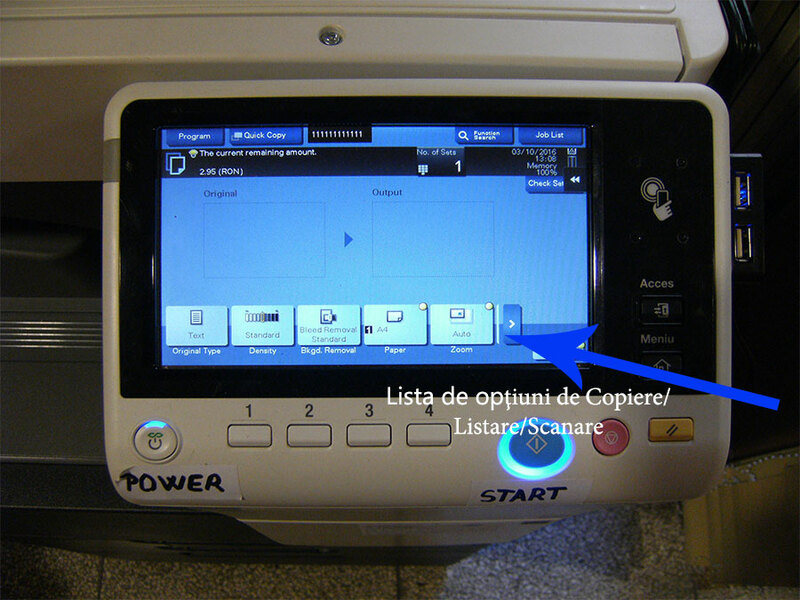 In case you want to scan all pages to a sigle pdf file, plese select Application and Separate Scan -> ON if it's not allready selected. 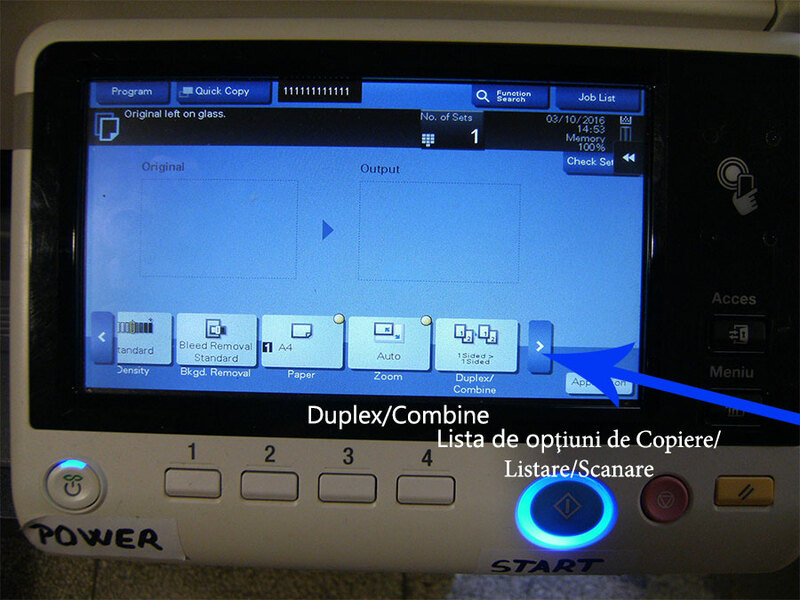 If you want the scan output to be a pdf file, plese select File type: Compact PDF instead PDF because the Compact PDF has smaller size (if it's not allready selected Compact PDF as File type). 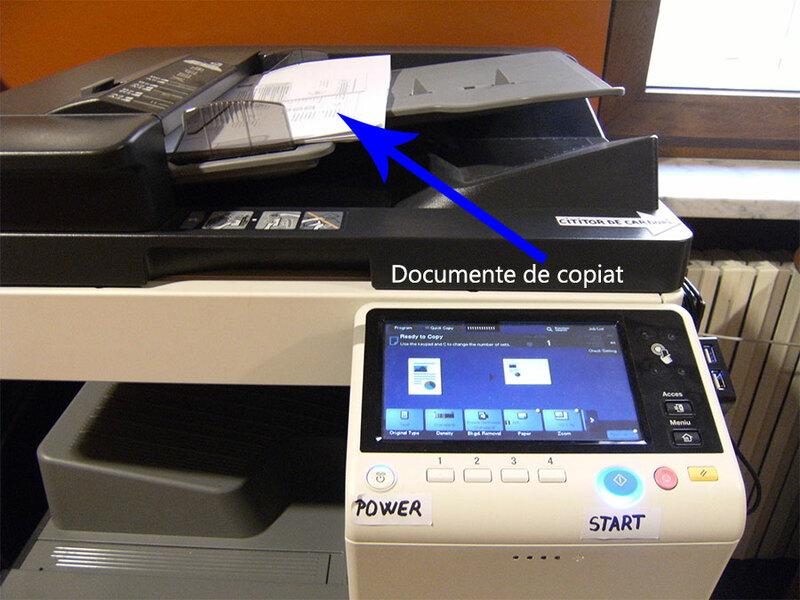 Advice: do not creat files with more than 70 pages. 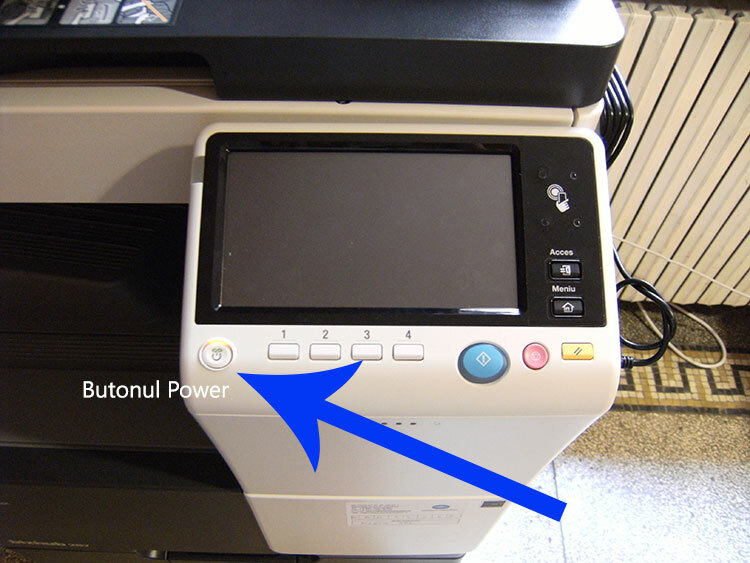 Please check you have enough space on USB stick to save the scanned file. 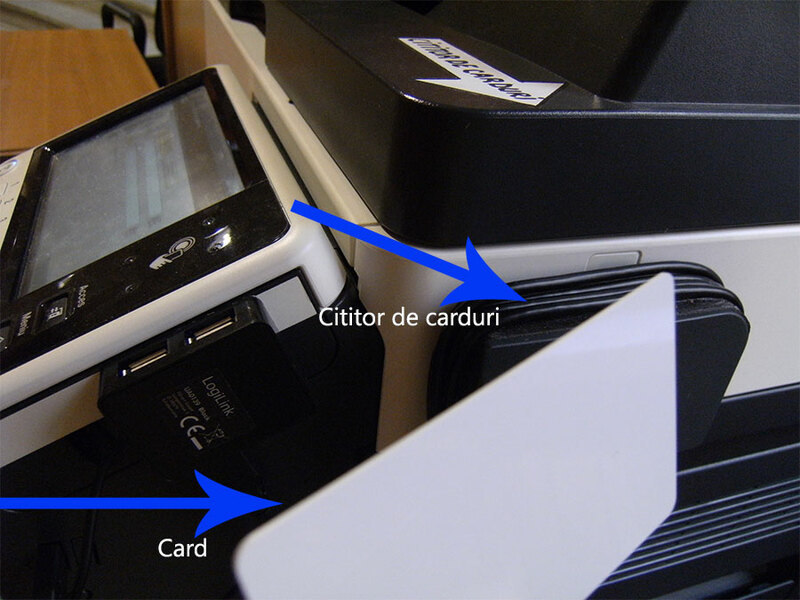 The card is rechargable, non-transmissible and it's offered with a minimum amount of 40 lei.